Sourced exclusively for Waitrose from the famous Roussas dairy, with a distinctive character and rich flavour. Greek Feta cheese made with pasteurised ewe's and goat's milk. 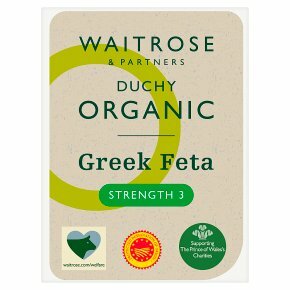 Sourced exclusively for Waitrose from the famous Roussas dairy, with a distinctive character and rich flavour.